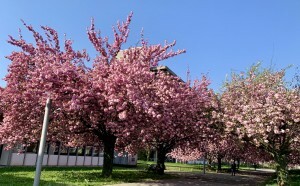 Alle Jahre wieder blühen die Kirschbäume vor unserem Institutsgebäude in voller Pracht und laden Passanten allen Alters ein zum Verweilen. 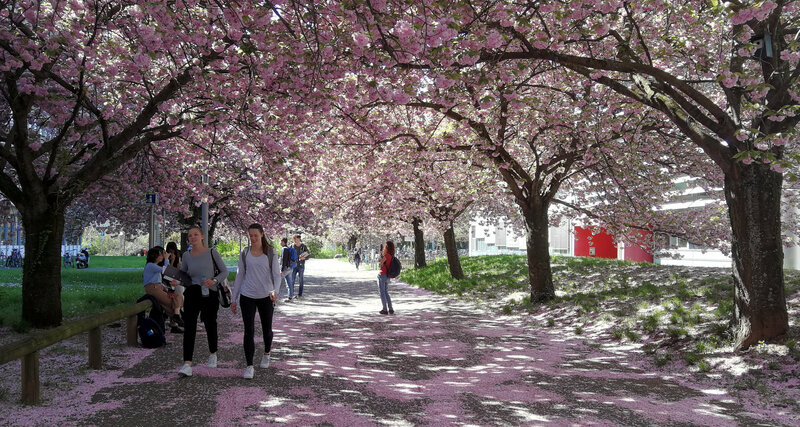 Städtische Grünflächen wie diese leisten einen wichtigen Beitrag zur urbanen Lebensqualität, indem sie viele Funktionen wie Naturerfahrung, sozialen Austausch und Erholung ermöglichen. Jedoch eignet sich nicht jeden Grünfläche gleichermaßen für jeden Einzelnen und jede Aktivität. Im Rahmen des Projekts meinGrün entwickeln wir zusammen mit unseren Projektpartnern eine WebApp, welches es jedem ermöglicht, basierend auf den eigenen Bedürfnissen, die geeignetste Grünfläche zu finden. 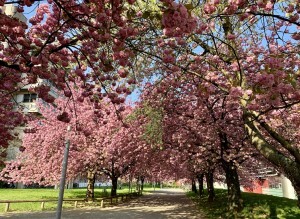 Um diese Grünfläche dann auf möglichst gesundem und erholsamen Wege zu erreichen, entwickeln wir basierend auf dem OpenRouteServices innovative Routing-Algorithmen, welche unter Berücksichtigung verschiedener Kriterien wie Weglänge, Steigung, Vegetation, Lärm, Pollenflug und Verschattung für jeden die geeignetste Route berechnen. Diese sollen später als Teil des OpenRouteServices weltweit zur Verfügung stehen und einen Beitrag zur Verkehrswende hin zu nachhaltiger Mobilität leisten. Um die App optimal auf die Bedürfnisse der BürgerInnen anzupassen, ist es ausschlaggebend zu wissen, wie urbane Grünflächen wahrgenommen und genutzt werden. Hierfür führen wir momentan eine Reihe von Umfragen durch. Durch das Ausfüllen des aktuellen Fragebogens helfen Sie uns herauszufinden, für welche Aktivitäten Grünflächen genutzt werden und welchen Ansprüchen diese genügen müssen. Die Beantwortung des Fragebogens sollte nicht mehr als 5-10 Minuten in Anspruch nehmen. Vielen Dank! Novack, T.; Wang, Z.; Zipf, A. (2018): A System for Generating Customized Pleasant Pedestrian Routes Based on OpenStreetMap Data. Sensors 2018, 18, 3794. Time-dependent restrictions and temporal road closures are so far not considered in any freely available software for route planning. 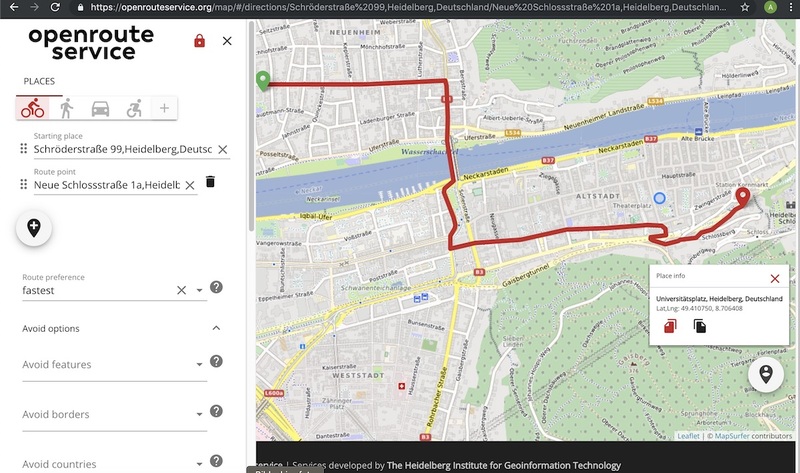 Heidelberg University and the company GraphHopper aim to address this issue in their joint project “TARDUR - Temporal Access Restrictions for Dynamic Ultra-Flexible Routing”. 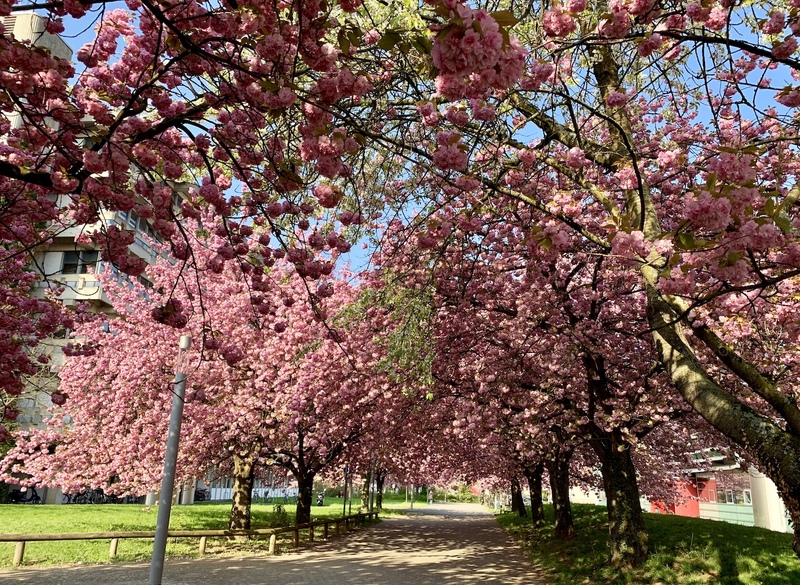 The project started in March and is supported by the Federal Ministry of Transport and Digital Infrastructure with a 100,000 Euro research grant within the mFUND initiative. Road restrictions may depend on the time of day, the day of the week, or the season. Typical examples are nightly driving bans for trucks, one-way streets alternating between the directions and winter barriers in mountains. 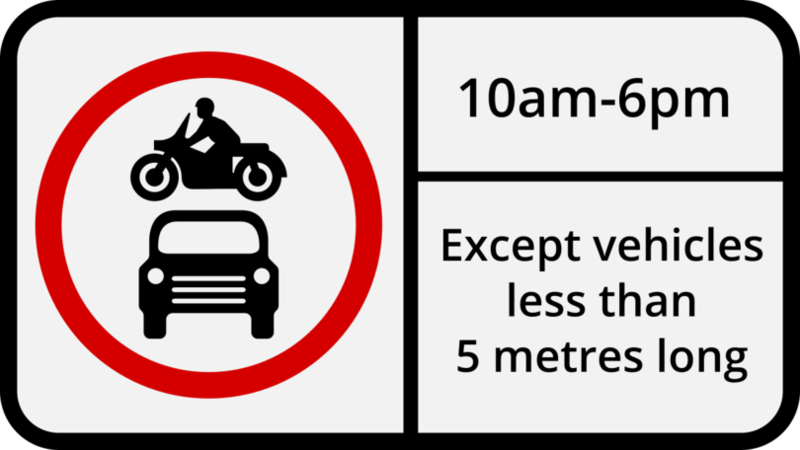 If the navigation or routing software ignores these restrictions the user might end up at a closed road. This not only increases traffic and has negative impact on the environment, but also costs time. Especially for emergency and service vehicles such delays are critical. The goal of the project is to develop and efficiently implement an algorithm that produces high-quality routes with accurate arrival time calculation by taking into account time-dependent constraints. The algorithm will be integrated into the open-source solutions from GraphHopper and OpenRouteService which are publicly available under an open license. The fact that both rely on the open-access OpenStreetMap road network guarantee that a wide range of services, companies and organizations will profit from this new feature. GraphHopper is a young company focused on providing solutions for route planning. Their namesake software is freely available and well-established, especially in the open-source domain and among users of free geodata. 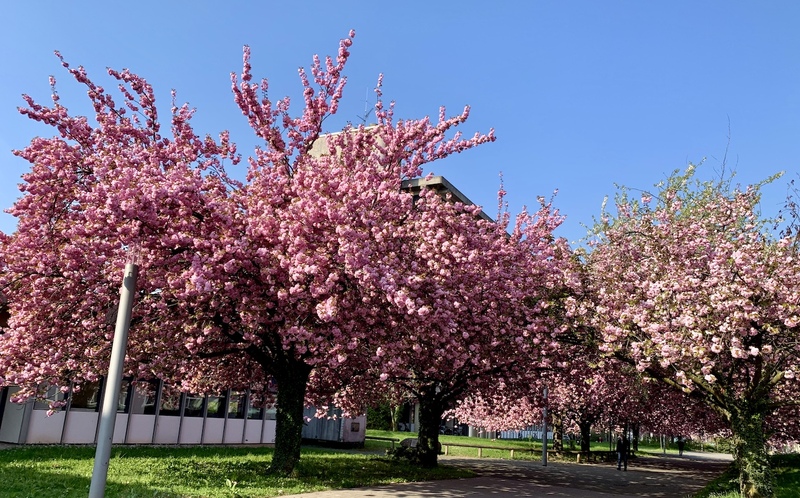 The GIScience Research Group of Heidelberg University has sound expertise in the field of routing algorithms and applications. She has been developing the open source platform OpenRouteService, https://openrouteservice.org, since 2008. With the OpenRouteService for Disaster Management based thereupon, she also provides route planning for humanitarian missions in international civil protection. 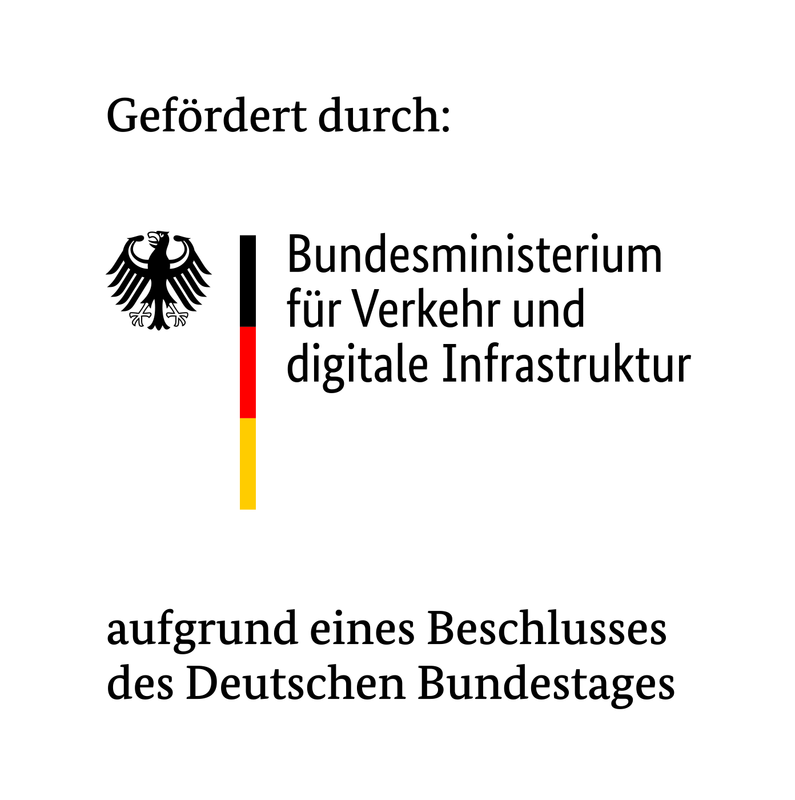 Since 2016, the Federal Ministry of Transport and Digital Infrastructure (BMVI) has been funding R&D projects related to digital data-based applications for Mobility 4.0 with a research initiative called mFUND. mFUND not only provides financial assistance but, with different event formats, it fosters networking between stakeholders from the political sphere, as well as the business and the research communities. It also promotes access to the mCLOUD data portal. 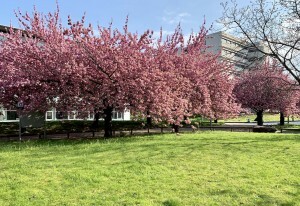 As each year our institute is again and again hiding in spring behind these beautiful blossoms. But each time this is really ohsome ;-) and amazing! Enjoy! 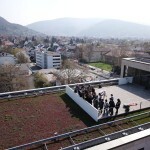 The “TdLab Geography” (Dr. Nicole Aeschbach) developed a “Decarbonization Lab” as part of the course “Climate Science and its Implications” taught by Prof. Dr. Werner Aeschbach at the Heidelberg Physics Graduate Days at Heidelberg University. 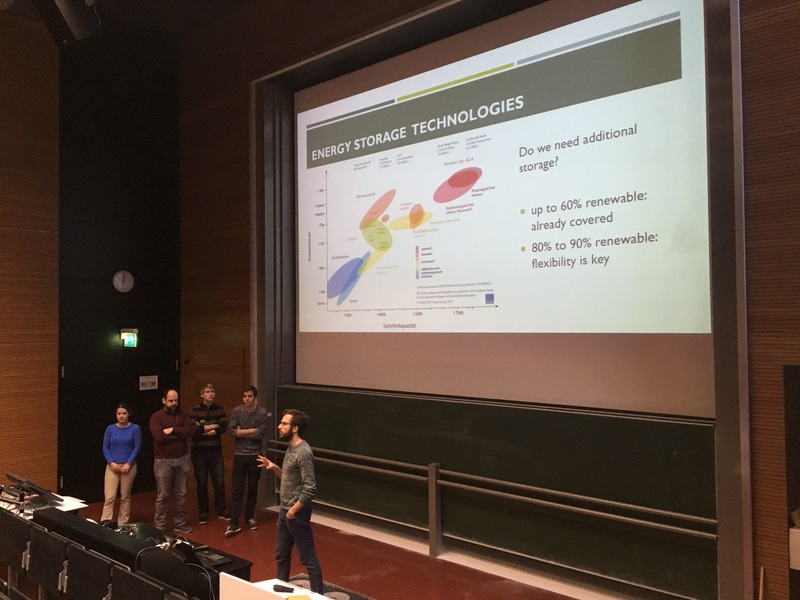 About 50 doctoral students of the Heidelberg Graduate School of Fundamental Physics (HGSFP) worked on creative and effective measures as contributions to reach the climate targets set in Paris 2015. During the graduate course, the participants had previously gathered profound knowledge about the climate system, anthropogenic climate change and climate policy. 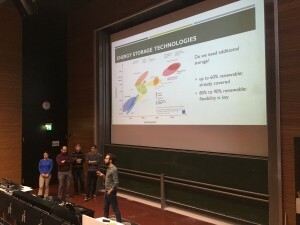 On this basis, they joined interactive group work and presented their results during a plenary session on 12 April 2019. The impressive outcome includes measures for energy production, energy storage, mobility, nutrition and housing as well as carbon dioxide removal (CCS). 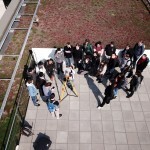 The recently launched “TdLab Geography” aims at the development of innovative methods at the science-society interface. These approaches are implemented into research, teaching and communication mainly in the context of climate change, sustainability and digital geography. The OpenStreetMap History Database (OSHDB) is what powers most of the functionality of HeiGIT’s ohsome platform. The ohsome API for example, which was often showcased here in the blog, is built on top of the OSHDB. Just recently, an open access software article about the OSHDB was published. Check it out to find out more about the conceptual and technical background behind the OSHDB! Stability and performance: The main goal was to make the OSHDB framework more stable and more performant. It can now handle the global OSM full history dataset (which is big) with ease. This allows for example everyone to explore the evolution of the OSM project, or to answer research questions about OSM history data. New features: There are also a couple of new features included in the new release, for example the possibility to calculate median and quantiles, a completely rewritten and much more flexible way to calculate aggregated result for arbitrary subsets of the queried OSM data including a way to aggregate results by sub-regions. Documentation: Last but not least, the project repository finally got a proper documentation section that explains the concepts and features of the OSHDB in detail. Take a look at our changelog of version 0.5 to see the full list of all major changes in this version. If you’re upgrading from a previous version of the OSHDB: note that we updated some of our dependencies and that the central libary JTS is now maintained by a different company. This means that you might have to adjust import statements as explained in their JTS migration guide. You can find the OSHDB source code as open-source under the LGPLv3 license on github. Don’t hesitate to open a ticket there if you encounter any bugs or are missing a particular feature in the OSHDB and feel free to contact us via email to info@heigit.org. 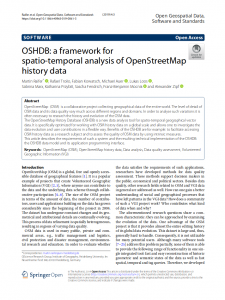 Raifer, M, Troilo, R, Kowatsch, F, Auer, M, Loos, L, Marx, S, Przybill, K, Fendrich, S, Mocnik, FB & Zipf, A (2019): OSHDB: a framework for spatio-temporal analysis of OpenStreetMap history data. Open Geospatial Data, Software and Standards, https://doi.org/10.1186/s40965-019-0061-3. Recently our former team member Rene Westerholt (now at Warwick UK) received this years prize for the best PhD at “Förderpreis Runder Tisch GIS München 2019“. 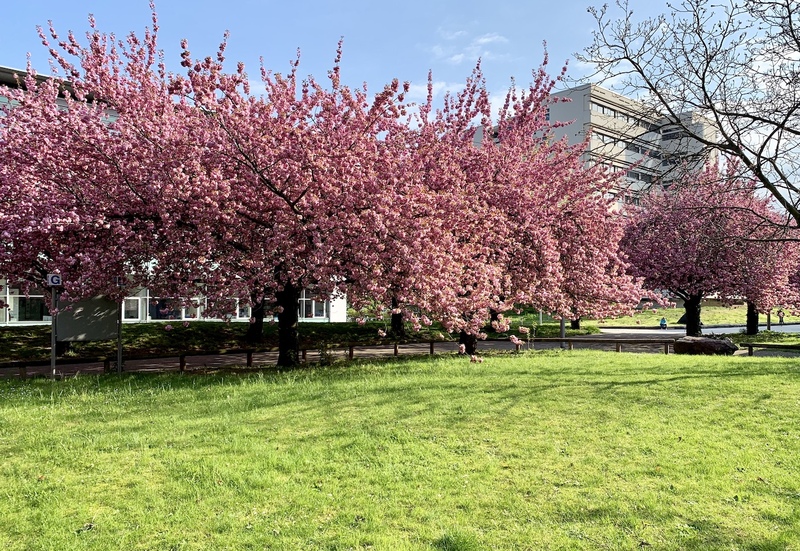 The PhD was done in Heidelberg within the graduate school “CrowdAnalyser – Spatio-temporal Analysis of User-generated Content”. We concratulate cordially! Westerholt, R, Resch, B & A Zipf (2015). ’A Local Scale-Sensitive Indicator of Spatial Autocorrelation for Assessing High- and Low-Value Clusters in Multi-Scale Datasets’. International Journal of Geographical Information Science, 29 (5), 868-887. DOI: 10.1080/13658816.2014.1002499. Westerholt, R, Steiger, E, Resch, B & A Zipf (2016). ’Abundant Topological Outliers in Social Media Data and Their Effect on Spatial Analysis’. PLOS ONE, 11 (9), e0162360. DOI: 10.1371/journal.pone.0162360. Westerholt, R, Resch, B, Mocnik, F.-B. & D Hoffmeister (2018). ’A Statistical Test on the Local Effects of Spatially Structured Variance’. International Journal of Geographical Information Science (IJGIS), 32 (3), 571-600. DOI: 10.1080/13658816.2017.1402914. Bluemke, M, Resch, B, Lechner, C, Westerholt, R, & JP Kolb (2017). ’Integrating Geographic Information into Survey Research: Current Applications, Challenges and Future Avenues’. Survey Research Methods, 11 (3), 307-327. Steiger, E, Westerholt, R, & A Zipf (2016). ’Research on Social Media Feeds – A GIScience Perspective’. In: European Handbook of Crowdsourced Geographic Information. Ed. by Capineri, C, Haklay, M, Huang, H, Antoniou, V, Kettunen, J, Ostermann, F & R Purves. London: Ubiquity Press, 237-254. DOI: 10.5334/bax.r. Westerholt, R (2018). ’The Impact of Different Statistical Parameter Values between Point Based Datasets when Assessing Spatial Relationships’. Proceedings of the 21st AGILE Conference. Lund. Sweden. 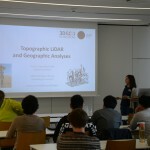 In a mix of lectures, invited talks and hands-on sessions, the participants learned about processing and analysis of 3D geodata, particularly in the point cloud domain using topographic LiDAR, as well as the use and visualization of 3D meshes. The sessions were held by various researchers of the organizing groups: Dr. Hubert Mara, Dr. Jack G. Williams, Dr. Bartosz Bogacz, Lukas Winiwarter. Prof. Dr. Andreas Nüchter (University of Würzburg, Germany) presented recent work of his Robotics and Telematics group, including a demonstration of an underwater scanner. In a hands-on, he taught participants the use of the 3D Toolkit for efficient 3D point cloud processing. The 3D Toolkit provides a range of ready-to-use algorithms and methods, e.g. automatic registration, plane extraction or the “peopleremover”, and a fast 3D viewer. 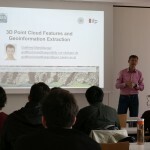 Dr. Gottfried Mandlburger (Institute for Photogrammetry, University of Stuttgart) introduced methods of information extraction from geographic 3D point clouds and gave important considerations on the derivation of features from 3D point neighborhoods. 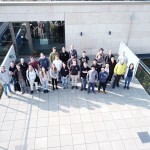 He is a main developer of the point cloud processing software OPALS (GEO Department, TU Vienna) and a hands-on introduction to geographic point cloud analysis with OPALS followed up his talk, led by 3DGeo member and TU Vienna alumnus Lukas Winiwarter. Jorge Martínez Sánchez (CiTIUS, University of Santiago de Compostela, Spain) joined the workshop as one of the main developers of the Heidelberg LiDAR Operations Simulator (HELIOS) for laser scanning simulations of virtual scenes. In his talk, he presented the concept of HELIOS, applications and most recent developments as well as an outlook on future plans. One of the planned new features - support of elliptical footprints - formed part of a programming challenge taken up by a team of the participant group and might soon be available in the HELIOS source code. After his hands-on, the participants are now well-equipped for virtual field work for survey planning, synthetic ground-truthing and testing of methods. In the second part of the event, participants worked on their own tasks in small teams in the frame of a programming and research challenge, which they presented to the groups as a conclusion of the workshop. This important part of STAP19 was made possible by the motivation and enthusiasm of the participants! It was amazing how the great variability in the backgrounds of participants (geography, computer science, mathematics, scientific computing, art history, geo-ecology, architecture, geomatics, photogrammetry and remote sensing, …) -who made their journey from many different institutions (German and international)- enhanced the joint experience and gave way for fruitful exchanges and networking opportunities. The text was too long to read? Or you made it all the way to the end and really deserve it! Find some impressions of STAP19 below and check the character-limited updates on twitter (#STAP19). STAP19 was organized by Katharina Anders, Prof. Dr. Bernhard Höfle, and Dr. Hubert Mara. We thank everyone who contributed to the success of STAP19 - on stage and behind the scenes! 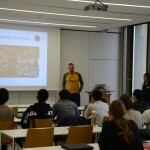 The event took place at the Interdisciplinary Center for Scientific Computing (IWR) and was sponsored by the Heidelberg Graduate School of Mathematical and Computational Methods for the Sciences (HGS MathComp), founded by DFG grant GSC 220 in the German Universities Excellence Initiative. If you are interested to conduct similar studies in your region of interest please feel free to sign up for the free openrouteservice API to make use of a whole range of different services. Our coverage is global for all services which allow you to query up to 2.500 requests per day. "Hard to Reach: While Manhattan has the most subway stations with elevators, many residents in the rest of New York City live far away from an accessible station." It is also important to emphasize that the client has been built to be 100% mobile compatible. The old map client with all functionality is still available under the sub domain maps.openrouteservice.org. Any feedback regarding the new client is most appreciated.